Granted, it is too early to tell if there is a correlation between Illinois’ new concealed carry law and the dropping crime rate. Apparently, the first gun permits were issued in late February. But even the Chicago Police Superintendent called the drop a “trend.” He didn’t however make any mention of concealed carry. He credited his police force. But this is not at all the trend that liberals wanted to see. They wanted to see an increase in crime, not a drop. It’s entirely possible that the law itself caused a drop in crime. 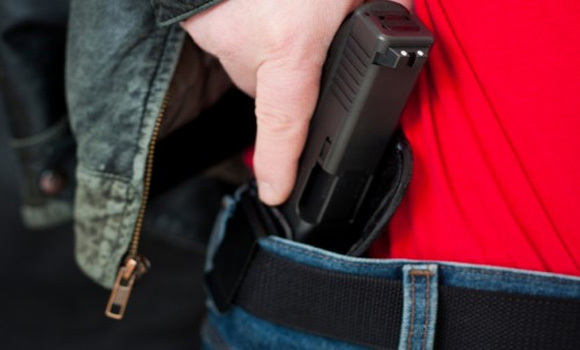 The mere fact that there was finally a law on the books that allowed Illinois residents to carry concealed may have convinced many criminals to think twice about committing a violent crime, even before any permits were issued. We’ll have to wait to see if this apparent drop in crime is truly a trend, and if that trend correlates with an increase in concealed carriers. No State has the right to pass legislation to deny or unreasonably restrict an individual’s right guaranteed under the Constitution. Time & time again the people have allowed the many & various levels of government to deny law abiding citizens of their Constitutionally guaranteed rights. Most gun legislation speaks to ‘ concealed carry ‘ as opposed to openly carrying a weapon. The 2nd Amendment guarantees the right of ( law abiding ) citizens the right to bear arms. Reasonable people have voluntarily submitted to some restrictions on carrying concealed weapons but most jurisdictions have expanded enforcement to include the open carrying of weapons and unreasonable restrictions on transportation of weapons. Just as a strong and well armed military is vital to national defense; well armed citizens are necessary to protect the people from a corrupt and tyrannical government.